Children's Orthopaedic and Scoliosis Surgery Associates, LLP strives to provide outstanding pediatric orthopaedic care to children and young adults in Florida's SunCoast Region. Care is provided by physicians with outstanding credentials, backed by board certifications, and pediatric fellowships. 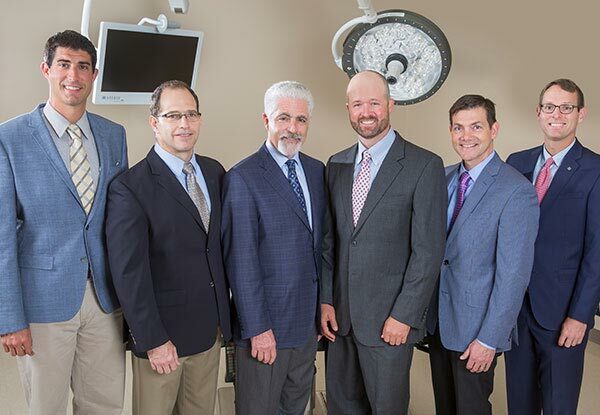 Our physicians provide care using the latest cutting edge technology resulting in the safest and most accurate outcomes. Treatment is focused on the individual patient's needs through specialized care utilizing innovative approaches. Commitment, compassion, integrity, experience, and technical expertise is what makes these physicians different. Children's Orthopaedic and Scoliosis Surgery Associates, LLP is a multidisciplinary, patient-based center of excellence for the treatment of all orthopaedic conditions in children, adolescents, and young adults. Our specialized physicians are able to care for a range of diagnoses that are unique to the young patient, all under one roof. Our expertise ranges from acute conditions such as sports injuries and fractures, to prolonged or chronic conditions such as scoliosis and limb deformity. Because each of our surgeons cares for a specialized range of problems, our practice has the capacity to treat any orthopaedic condition in the young patient as they grow and develop. Everything about your office oozes professionalism. We were treated so well by everybody from the front office to the casting room. Your staff made sure our visit was trauma free for my little guy and got him back to doing what he loves. Thank you so much for taking a scary time and turning it into a positive experience.